The Golden State Warriors have owned the Western Conference for several years, but Kobe Bryant is not ready to count the Los Angeles Lakers out of that competition this season. 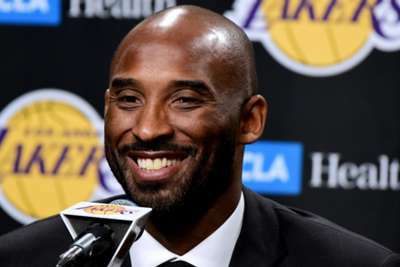 Bryant told The Undefeated that he believes his former team "will surprise a lot of people this year" and went on to explain what the Lakers will have to do if they want to compete with the Warriors, while giving credit to the team general manager Rob Pelinka has built. "Rob has smartly built a team of physical players. Big, versatile, fast, physical players. He understands that if you want to challenge Golden State, you can't challenge them with shooting. That's what they do," Bryant said. "You've got to beat them somewhere else. You have to beat them with size. Chippiness. Feistiness. Strength and speed. And he has a team that has that. He has a mixture of vets that are still in their primes and young kids that are hungry and open-minded and willing to learn. A team that can compete and challenge. That is a dangerous mix." The Lakers have missed the playoffs the last five years, but they are expected to be more competitive with the addition of LeBron James and a young core of Brandon Ingram, Kyle Kuzma, Josh Hart and Lonzo Ball. Los Angeles also prioritised signing veterans Rajon Rondo, Lance Stephenson, JaVale McGee and Michael Beasley. Bryant is confident in the Lakers' chances of making the playoffs, too. When asked if the Lakers will definitely be there he said: "Oh, God, yes. Come on." The Lakers opened up their season with a 128-119 loss to the Portland Trail Blazers on Thursday.